Never Forgotten Coast Announces Grant Awards for Mexico Beach | Insurance Litigation Group, P.A. 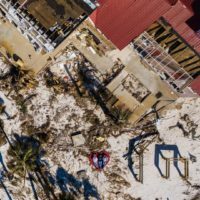 According to FLAPOL, Never Forgotten Coast will be awarding grants of $1,000 to those still suffering from the effects of Hurricane Michael in Mexico Beach. The grants will be given to 11 local businesses. Most of the businesses will use the grants to replace items not covered by their insurance company. The grant program is part of a partnership between Never Forgotten Coast and the Mexico Beach Artificial Reef Association, nonprofit that has worked in Mexico Beach for more than two decades and has successfully managed millions of dollars in federal grant programs. So far 20 microgrants have been given, including the 11 grants announced Monday. Grant applications are still open for businesses that could get some help to open again. For the full article, please visit FLAPOL.